Hearings on FDA’s Budget are Completed. What Next? Both the House and the Senate have talked about accelerating schedules for FY 20 appropriations. The House leadership would like to have all 12 bills completed by July 1. Senate Appropriations Committee leadership has set as its goal getting all 12 bills out of committee by July 1. With the President’s request submitted to Congress and the Commissioner having testified before each of the subcommittees, the next step is subcommittee mark-up. The House usually goes first, but nothing prevents the Senate from marking up if they are ready to do so. Congress is on recess for the next 2 weeks, so mark-ups won’t start before May. Historically, Military Construction/VA. Legislative Branch, and Defense are moved first, so the Ag/FDA mark-up is more likely to be mid-to-late May or early June. Also, there is strong sentiment to move Labor-HHS in tandem with Defense appropriations and eventually make them one bill. This was a successful tactic in the FY 19 cycle. But Can Appropriations Move Forward Without a Budget Bill? The answer is yes, but the path is not an easy one. The most pressing issue is that the Budget Control Act would force more than $70 billion in defense cuts and more than $50 billion in non-defense cuts, relative to the final FY 19 levels. That isn’t going to happen and, reportedly, House Speaker Nancy Pelosi and Senate Majority Leader Mitch McConnell have agreed to begin talks on a 2-year budget bill that would re-set the caps to a level that Congress can accept. More about the current state of the budget process and implications for FDA are in this week’s Analysis and Commentary. Thanks to All Who Attended the Last Two Alliance Events. This week, Anna Abram, FDA’s Deputy Commissioner for Policy, Legislation, and International Affairs, spoke to a large group of Alliance members. Her remarks covered a large number of FDA initiatives — and, as always, the number and breadth of FDA responsibilities is remarkable. In her speech, as well as in the question and answer session, she emphasized continuity. 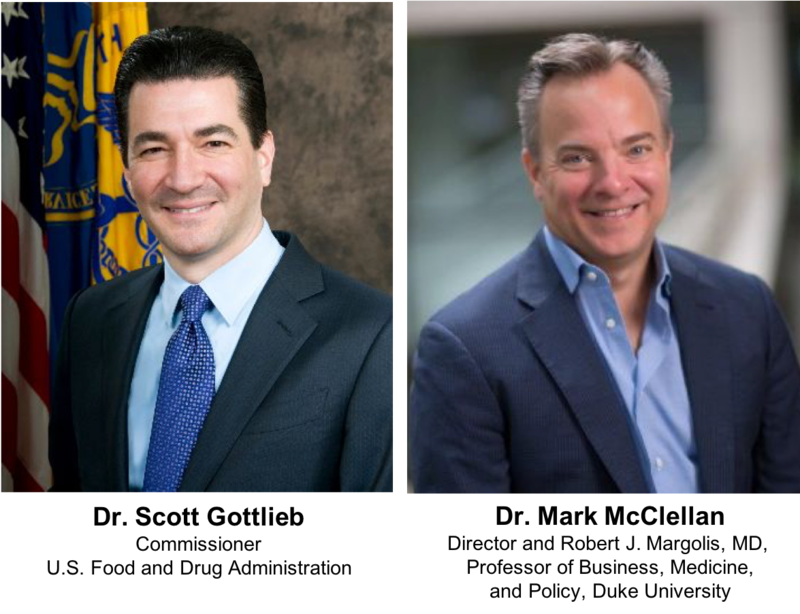 While Dr. Gottlieb will be missed, acting commissioner Sharpless has the same goals and Secretary Azar has also spoken about his commitment to policy and program continuity at FDA. At the end of March, the Alliance also had the honor of hosting one of Commissioner Gottlieb’s last public appearance as Commissioner. More than 100 Alliance members and media attended. Dr. Sharpless Now Acting FDA Commissioner. With Dr. Gottlieb’s departure on April 5, Dr. Ned Sharpless, NCI Director, has become Acting FDA Commissioner. He will serve until a new commissioner is nominated and confirmed. NCI is known to work more closely with FDA than many of the other NIH institutes, so he arrives with considerable knowledge about the agency and its responsibilities. At the time of his appointment as acting commissioner, the Alliance commented here. Alliance Submits Testimony to Senate Ag/FDA Subcommittee. This week, the Alliance submitted its testimony for the record to the Senate Ag/FDA appropriations subcommittee. The testimony is here. More about the Alliance “ask” is contained in this week’s Alliance and Commentary.